The selfie – the self-portrait of the digital age – is a trend that has taken the world by storm, and has largely changed the way we photograph ourselves. Selfies are by no means a new phenomenon; they have existed since the advent of photography and before that, artists were commonly known to paint self-portraits, the pre-digital form of the selfie (and one can only imagine the amount of “filtering” that the paintbrush allowed). On Instagram itself, there are 279 million posts hashtagged #selfie. The trend has even reached outer space – with Japanese astronaut Aki Hoshide taking what might arguably be the greatest selfie of all time at the International Space Station. Who knows what kind of selfie will crop up next? Swept up by selfie-mania, Sunsilk recently premiered Sunsilk’s first-ever, biggest selfie movie in Malaysia. Centred around the theme of ‘Selfie Ready Hair, Anytime, Anywhere’, the Sunsilk Selfie Movie stars 500 Malaysians and popular bloggers Daphne Charice, Fyna and Jessica Chaw. The movie came to life when Sunsilk called on girls to be part of a fun, lighthearted movement for great-looking, selfie-ready hair. Over a thousand photos were sent in as girls shared their beautiful selfie moments with pretty hair and confidence to boot. After all, who doesn’t want to capture and immortalise moments when they felt confident, happy and beautiful? It has always been Sunsilk’s mission to inspire confidence and self-expression – realising that these girls are incredibly full of life and want to take charge of their own destiny. The Sunsilk Selfie Movie is just one of the platforms wherein the brand encourages girls to let their confidence, creativity and personalities shine, with beautiful hair that makes them look good and feel good. 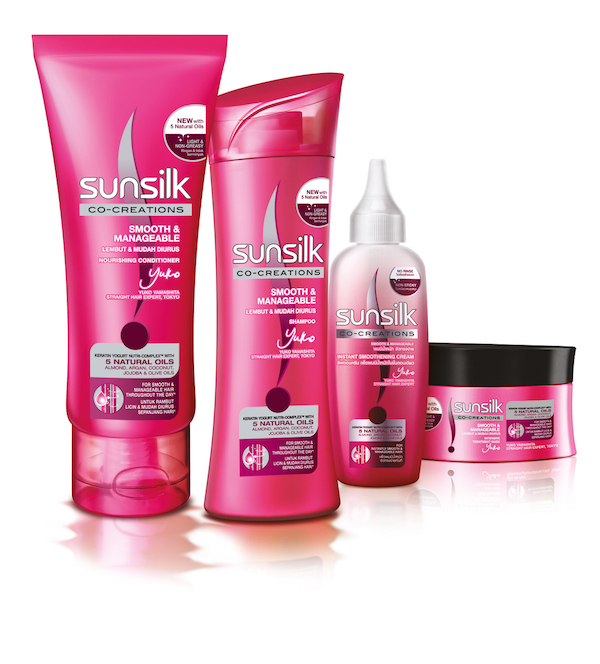 With Sunsilk Smooth & Manageable by their side, girls can rely on a hair care range that gives them smooth and polished hair anytime, anywhere. Find the best lighting. Having nice, natural light can do wonders to a selfie. Take care not to cast heavy shadows on your face that can give an unflattering look (or sometimes, the illusion of eye bags). If you’re indoors, sit or stand close to a window where light is streaming in. The ‘magic hour’ for taking a photo is during sunrise or sunset, when the light is low and most beautiful. Experiment with angles. For most people, the best angle is when they are not looking straight into the camera, or one that is slightly higher than their line of vision. “The beauty of a selfie is you can take as many as you’d like,” says Preston who recommends taking multiple photos with different poses and angles until you find the angle that you are happiest with. Follow the “rule of thirds”. Photographers know this rule by heart and the same can be applied to selfies. The idea is that an off-centre composition looks more natural and attractive to the eye than one where the subject is placed in the middle of the frame. For selfies, imagine dividing your frame with two horizontal lines and two vertical lines. Then position your face along those lines or at the points where they meet, which will place your face either in the top-right or top-left corner of the frame. Choose your background. Find something interesting and have fun with it. It can be colourful flowers, a beautiful garden, blue skies, anything you fancy. Keep in mind that backgrounds can help accentuate your face, make your photo more interesting and show off your personality. Use the right filters and apps. “Personally, I love the ADEN filter on Instagram, which can make any photo dreamy or dramatic. If I want to highlight my background, I choose JUNO for richer colours,” shares Preston. He also recommends Snapseed and VSCOcam, easy-to-use and free apps, that can instantly edit and transform selfies. When it comes to hair, hairstyle guru Bambang Soteto suggests going for easy-to-manage ‘dos that look glam and ready for impromptu selfies. Lovely styles for long, straight hair include basic braids, ponytails with a twist or the classic ‘let your hair down’ look. For instant polished looks before a selfie, try Sunsilk Smooth & Manageable Instant Smoothening Cream, a leave-on conditioner that can instantly smoothen your hair back in shape to its morning best and keep it fragrant all day. To view the Sunsilk Selfie Movie, visit Sunsilk Malaysia’s Youtube channel (www.youtube.com/SunsilkMY) and Facebook page (www.facebook.com/SunsilkMalaysia) beginning 16 June 2015. 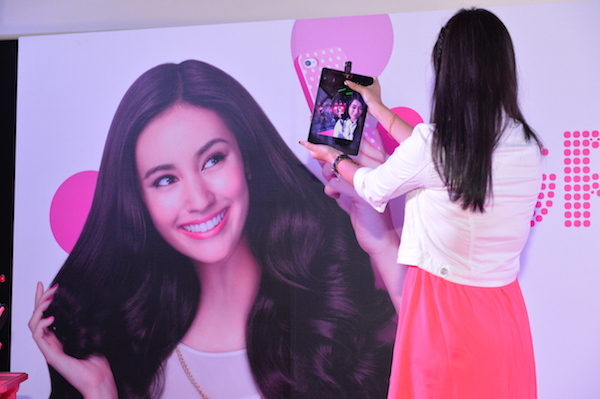 Sunsilk’s first-ever and biggest selfie movie was created with the support of Watsons and Tesco. For fun and exciting updates, follow Sunsilk Malaysia on Facebook, Twitter (@SunsilkMsia) and Instagram (@SunsilkMY).